Do you have an interest in ecology, botany, or science? Do you stroll through the Railyard Park and make observations about what plants are starting to leaf-out, flower or drop fruit? Would you like to contribute to the national dataset used by researchers across the globe? 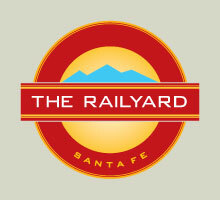 Through a partnership with the Rio Grande Phenology Trail , the Railyard Park is becoming an official observation site for the USA Phenology Network. Phenology is the study of cyclic and seasonal natural phenomena, especially in relation to the climate, plant, and animal life. At this workshop, participants will learn all about the phenophases (life cycle events), how to make observations in the park, how to enter observations into Nature’s Notebook, and how to support a growing community project in the Railyard Park and beyond. Presenter: Liz Douglass-Gallagher works with students, volunteers, and many other community members through Bosque Ecosystem Monitoring Program, Valle de Oro National Wildlife Refuge, and the National Phenology Network to coordinate phenology (seasonal life cycle change) research along the Rio Grande. Liz grew up in New Mexico and received her BS in Biology from Northern Arizona University. From following whiptail lizards at Sevilleta National Wildlife Refuge, to interviewing Arizona farmers about climate change, her past work experiences have inspired her to share the wonderful and vital connections between natural and social science with others. Bring a notepad and pen. Dress for the weather.